Gear up to experience the New Normal. Reva Is #MovingOut , Here Comes The Second Episode Of MOT Marathi Fictional #WebSeries .. Finally Reva Is #MovingOut But What Happens Next ...Check Out The Third And Fourth Episode Of MOT Marathi Fictional #WebSeries . 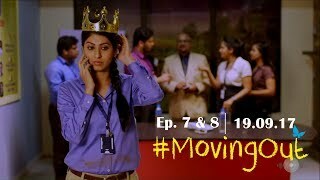 #MovingOut Reva Is @ Her New Home...Check Out The 5th And 6th Episode Of MOT Marathi Fictional #WebSeries . Reva meets Satya but what happens next ➜ Check Out The 9th Episode Of #MOT Marathi Fictional Web Series ..
Reva meeting her parents .. Check Out The 10th Episode Of #MOT Marathi Fictional Web Series . Season 1 Finale Of #MOT ..